Dominique and I in a Holga comparison. 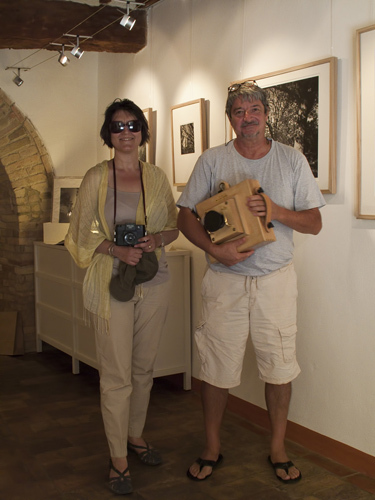 While roaming the Tuscan countryside this summer, we happened upon the gallery of a French photographer living in Italy, Dominique Bollanger. While we admired his silver and large platinum prints and joked the old jokes about my Holga whimsicality compared to his high precision contact prints, he whipped out a wooden 8″x10″ box and told us, “This is my Holga”. We didn’t believe him, of course. 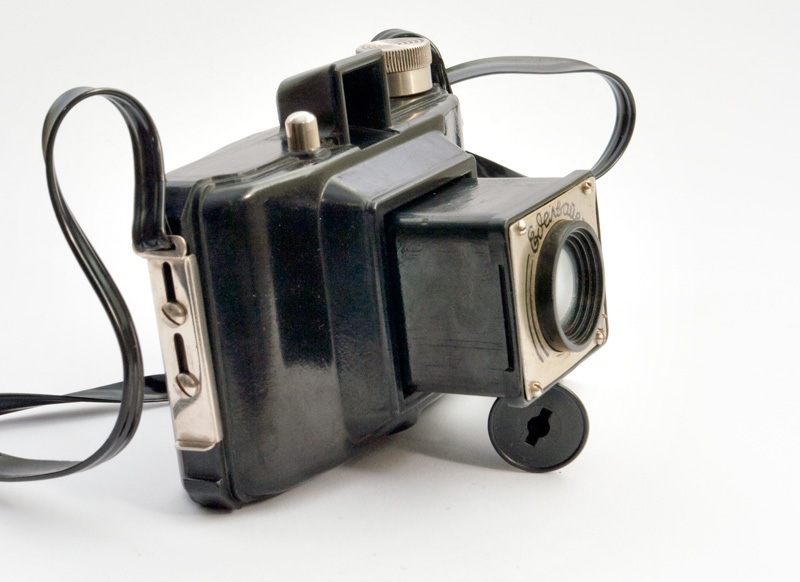 We thought it was just another Holga joke.